September 22, 2017 – Orlando, FL. Orlando Business Journal (OBJ) named Engineering & Computer Simulations (ECS) today as one of Central Florida’s top 100 privately held companies. It is the third time the company has been selected as a Golden 100 company, having been honored in 2010 and 2011. OBJ publishes the prestigious list to honor local businesses that have contributed to the region’s economy and growth. 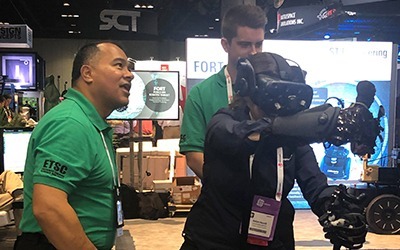 With a 188 percent sales increase in three years, ECS has contributed to growth in the high-tech simulation industry located in Central Florida’s Research Park. The company employs more than 60 engineers and computer designers, among other personnel. 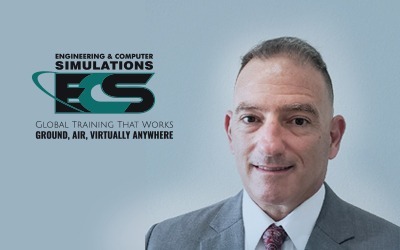 An industry leader in the simulation-based training industry, ECS provides training services and advanced learning technology solutions. With headquarters in Orlando, Fla., and employees around the world, the company provides global support to the U.S. military, U.S. government, and private industries within essential sectors, including health care, energy, disaster relief, first responder, education and others. The company has been recognized regionally and nationally for its innovative work, and this year won business awards from Horizon, Ernst and Young, Inc. 5000, and now OBJ. Engineering & Computer Simulations, Inc. is an award-winning solutions company located in Orlando, Florida. The core mission of the organization is to provide instructionally sound, advanced learning-technology solutions to clients within the commercial and government sector. ECS’s technology portfolio includes intelligent tutoring, competency-based learning, immersive virtual worlds, serious gaming, performance assessment, crisis preparedness and response, staff training, and mobile innovations. ECS’s services division provides on-site instructors, operators, and coordinators to clients globally. ECS offers efficiencies in operations, education, training and collaboration.